The Town of Richmond Hill is one of the Greater Toronto Area’s most affluent and multicultural neighbourhoods. The defining borders of this rapidly growing town (often mistakenly called the City of Richmond Hill) are Higway 407, Bathurst Street, Bloomington Road, and Highway 404. The Town of Richmond Hill attracts many new residents mainly due to its close proximity to downtown Toronto, and its many great amenities including Silvercity Richmond Hill Theatre, The Richmond Hill Centre for the Performing Arts, The Richmond Hill Public Library, as well as countless restaurants, parks, and entertainment options. Once considered the “Rose Capital of the World”, Richmond Hill has in recent years seen a huge population upsurge, being Canada’s fastest-growing community in the 1990s. The town is home to the world-renowned David Dunlap Observatory telescope, and has been rated by the Fraser Institute as the 23rd most affluent city in North America and 3rd in Canada, being one of the only two municipalities in all of Canada with an average household income above $100,000. Richmond Hill’s history, in the initial stages, was closely linked with the development of Yonge Street, planned as a military road by Lieutenant-Governor John Graves Simcoe, to be used as an inland route from York to Fort Penetanguishene. Surveying began in the early spring of 1794, but the road was not fully opened through Richmond Hill until early in 1796. Although Yonge Street was conceived as a military road, the possibilities for settlement along its length were obvious. Lots of approximately 200 acres were laid out – 100 chains deep to the next concession line and 20 chains wide – with five lots making a concession. By 1830, the name ‘Richmond Hill’ had become well established. The village was known briefly as Miles Hill and then Mount Pleasant. According to popular history, ‘Richmond Hill’ may have come from a visit of the Duke of Richmond to the area, in 1819. In 1971, regional government was implemented by the province, and Richmond Hill increased from 1,944 acres to 24,129 acres. The population doubled, then with increased sewer and water capacity, doubled again to 91,000. With the emergence of the automobile after 1910, traffic along Yonge Street grew so quickly that 5-acre lots were created north of Langstaff Road. Soon, the first registered, residential subdivision appeared on the west side of Yonge Street between Langstaff Road and Carville Road. This community became known as Richvale, and is still referred to as “Richvale” by long-time residents of Richmond Hill, even though modern maps now refer to the original “Richvale” as South Richvale. By 1947 the Yonge Street radial railway (“North Yonge Railways”), finally, ended its active service from Toronto to Richmond Hill. After Yonge Street was rebuilt, that part of the infrastructure of South Richvale that needed overhauling, next, was the outdated sanitation system. Leaking septic tanks and weeping tile beds kept back the development of the community into smaller lots. In fact, for “Richvale” sewers didn’t come until the late 1970’s. Only, then, did more new homes on infill lots start to emerge. Today, the focal points of the community are the Richvale Community Centre, Silver City Richmond Hill on the east side of Yonge Street, the Richmond Hill Golf and Country Club, the South Richvale Greenway and the bicycle trail from Hunter’s Point in the south to the Mill Pond area in Central Richmond Hill. After World War II some lots on streets like Scott and McKay were selling for prices of $500.00 to $600.00, while others on streets like Edgar, Oak and Spruce were difficult to sell at $100.00 per lot. The lots were bigger in order to accommodate the septic tank systems. Even today, the overall impression of South Richvale is one of larger lots, where older homes are still being demolished to make way for newer and larger homes. 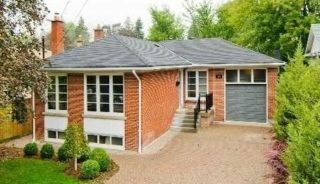 Streets like Maryvale Crescent, Westwood Lane and Denham Drive with larger lots are well respected names in the South Richvale community. Two other areas of South Richvale which continue to be known by real estate agents as desirable locations are “Teefy”, an exclusive subdivision of estate homes off Teefy Avenue on the east side of Bathurst Street backing to the South Richvale Greenway, and “Hunter’s Point”, an area of homes off Hunter’s Point Drive on the north side of Old Langstaff Road east of the Richmond Hill Golf and Country Club. The average household income exceeds $130,000 in South Richvale. The area has gone through gentrification resulting in the construction of many large custom-built luxury residences, some being the most expensive in the Greater Toronto Area with values up to $7 million.